Every car enthusiast already knows this, but for other folks let me say it again – all-season and all-weather tires are only a compromise in almost every condition possible. If you want the best possible performance, you’ll need specialized tires, or in other words, best summer tires for the summer and winter tires for the winter. Summer tires, for example, will always give you the best possible control over your vehicle in warm conditions. You can expect more engaging handling and high levels of grip, almost like in a sports car. Driving in wet and warm weather is also excellent – better than in all-season tires for sure. Yes, you’ve read that right – summer tires are one of the best solutions for rainy (and warm) weather. Winter driving is not their forte though but duh, that’s obvious. 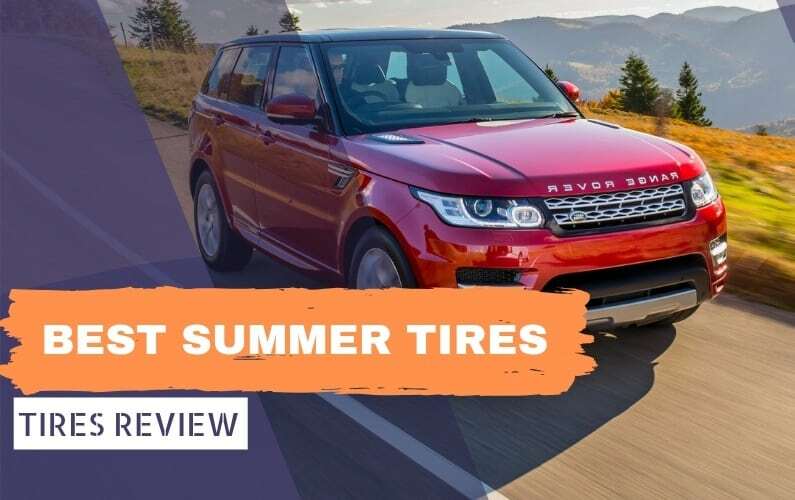 With all that said, there are a lot of different summer tires on the market right now and choosing the right one can be a daunting task. Happily, I am here to help! It’s almost customary to include a Pilot Sport tire on the first place of a best summer tire list, and mine will be no exception. The Pilot Sport 4S is simply outstanding in almost every scenario you put it in, offering a mix of qualities that almost no other competitor can match. 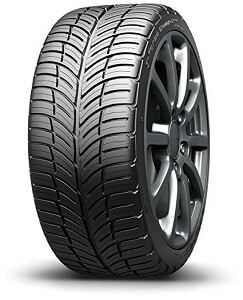 There are several reasons why this tire is so good, so I’ll start with the most obvious ones, like the Dynamic Response Technology, which despite its marketing-derived name, really helps the Pilot Sport 4S achieve precise and responsive steering in warm weather. The computer-modelled Variable Contact Patch 3.0, on the other hand, optimizes pressure distribution over the tire, giving unparalleled levels of grip while also elongating the tread life. Hell, it’s even equipped with hybrid Aramid and nylon belt inside for high strength and low weight. In other words, this tire not only gives you better handling in the corners but better performance in a straight line as well. The result? Super responsive handling like you’ve never experienced before. The Pilot Sport 4S is so precise that you can place the car in a corner like a racing driver whilst also having tons of information through the steering wheel. What about wet driving? It’s the same story – grip levels are high and overall precision and responsiveness are intact. Add to that a pretty good treadlife for an ultra-high performance summer tire and you have a real winner here. The only gripe I have with the Pilot Sport 4S is the high price, but let’s be honest here – if you already own a performance vehicle, the price of the tires should be of no concern to you. ​My god, I love the Bridgestone Potenza RE-11. If it weren’t for the fact that it deteriorates quickly, it would have been the perfect tire. I mean, just look at it – it’s half road-ready tire, half racing-ready slick tire. The design of the Potenza RE-11 is so inviting, I’m sure many sports car drivers chose it only for its handsomeness. By now you’ve probably felt my deep enthusiasm, and there’s a reason for that. Handling is absolutely superb in dry conditions – probably even better than the Pilot Sport 4S. Grip levels are insanely high, elevating confidence on the race track and in everyday driving scenarios. Did I say race track? If you do that often, this tire is absolutely the best option out there – it’s precise, responsive and offers mind-blowing levels of traction. But, what about wet conditions? It’s superb in those too, albeit not at the level of the Pilot Sport 4S. Still, an amazing performer in this category as well. The high performance the Potenza RE-11 offers is no coincidence – Bridgestone made sure it has put everything on the table when they designed this tire. I think just the notion of the 3D Seamless Stealth technology that the company used in Formula 1 is enough to make your heart race. When talking about racing, I must note that like the best racing drivers in F1, you will need to change this tires quickly to stay competitive – they neither offer a treadlife warranty nor last for a long time. ​Let’s get back to earth for a second. The Potenza RE-11 is extreme on the race track, but what if you want a more grounded tire for everyday high-performance driving? Enter the Continental ExtremeContact Sport. Also one of the best-rated high-performance tires out there, this one is more focused toward road driving. And while it may not be as extreme as the RE-11, it is a cheaper alternative to the Pilot Sport 4S that sits atop this list. If you thought that by cheaper I meant worse, you’d be wrong. The Pilot Sport 4S is still the king, but the ExtremeContact Sport comes so close that most drivers wouldn’t really notice. The lower price tag on the other hand certainly makes this Conti a very interesting proposition, especially when you consider the generous (for a summer tire) treadwear warranty of 30.000-miles or 6 years. It’s not just great in the rain – it’s the best tire in its class. It feels so confident when it’s raining that I think you will have a hard time noticing the difference between dry and wet traction. It’s that good. I do have one gripe though – the ExtremeContact Sport can be noisy on the highway. Technologies worth mentioning are SportPlus Technology, which enhances responsiveness and precision, and Quickview Performance Indicators molded into the tread pattern that shows the driver if the tire is good for wet driving or not, of course after thousands of miles driven. Neat. ​Dunlop is a well-known name in the racing community, and for a reason – their high-performance tires always offer excellent handling. 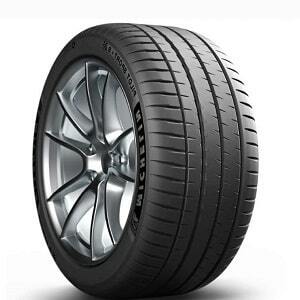 It’s no coincidence then that they are used as Original Equipment tires on many sports cars and performance coupes. The Sport Maxx RT2 is probably their best product in the high-performance lineup because it offers a combination of great dry and wet grip. To be honest, the price may be high for some people, but this Dunlop still is a great value because of everything it offers. In the rain it is almost unstoppable, providing the driver with high levels of grip for cornering and braking. It is both very good in light rain and heavy rain, where it resists hydroplaning like possibly no other tire in this category. Dry performance is also excellent, albeit perhaps not at the level of the best dry tires out there. Still, it offers very engaging handling on a tight cornering course and is controllable at the limit. Interestingly, Dunlop equipped this tire with fuel economy in mind, which is something that not a lot of high-performance tires offer. ​When a friend approaches and asks me for advice on а great high-performance tire, but at a lower price point, I almost always think of Falken first. Their Azenis FK510 model is one of the best for everyday driving, bringing great handling abilities at a much lower price point than premium tires. The Azenis FK510 is an excellent tire for everyone that wants high levels of grip and responsive handling on the road. It can work on the track as well, but there are better tires for that scenario. What I really like about this tire is the amazing performance in dry conditions, where it can compete with the best tires from Michelin, Bridgestone and Pirelli. It is precise, controllable at the limit and has excellent braking performance. Wet performance is a bit worse than premium competitors though, so keep that in mind. In isolation, I think that drivers will be very satisfied at how this tire performs in the rain, but there are simply better solutions if you want the best performance. 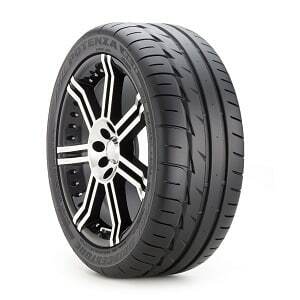 Interestingly, Falken doesn’t give treadwear warranty, but from what I’ve heard of owners of the Azenis FK510, it is pretty durable for a high-performance summer tire. The best thing about it is the low price – you can save more than $100 for a set of four tires when compared to premium products. Goodyear almost always takes place on any Top 10 list and of course, this one is no exception. 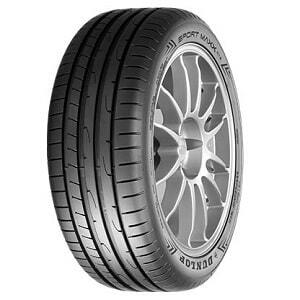 The Eagle F1 Asymmetric is excellent summer tire for everyone that seeks responsive and sporty driving in the bends. Comfort is excellent as well, as far as high-performance tires go. When compared to the likes of Pilot Sport 4S and Potenza RE-11, the Eagle F1 is very close when it comes to dry grip and responsiveness. It lacks some precision because it has a bit softer walls than those tires, but it’s easily adjustable and controllable at the limit. While I wouldn’t call it the best-handling tire out there, I wouldn’t complain about having it on my car in the summer. The same can’t be said for rainy weather though. It’s the same situation as with the Azenis FK510 – it is controllable and provides the driver with high levels of traction, but when compared to the best wet tires out there it falls apart. If you want the highest possible speeds in the corners when it rains, this is not the tire for you. On the other hand, not a lot of summer tires can touch the Eagle F1 when it comes to comfort. Potholes are not as easily felt as in other tires in this category, and noise is almost non-existent at normal highway speeds. If you’re on a tighter budget but still want a tire that will perform admirably in the corners, the BFGoodrich g-Force Sport Comp 2 might be a great solution for best budget summer tires. The directional tread is immediately recognizable and handsome, but more importantly, it provides excellent stability at higher speeds and with the help of the silica compound and Performance Racing Core, great handling abilities. In dry conditions, the g-Force Sport Comp 2 offers precise and responsive handling like the best tires out there. Even when driving at the limit I felt like I had complete control over the vehicle. Wet handling is also very good, albeit not at the level of the best tires. Still, for everyday driving, I find it more than capable of tackling both light and heavy rain. 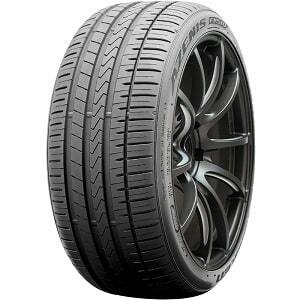 When you take the price into consideration, you’d think that this is the perfect high-performance summer tire, but there are still some drawbacks with the g-Force Sport Comp 2. First of all, treadlife is not exceptional, especially if the tire is driven hard and second, as the tread wears off, the tire loses its potential and becomes very noisy on the highway. ​The P Zero is another tire that’s well-known in the racing community. It is often used as an Original Equipment tire in some very exotic sports cars as well, so it’s safe to assume that it provides excellent performance across the range. And it does, but with a few caveats here and there. It’s a fine choice, but I recommend first looking at the competitors from Michelin, Bridgestone and Goodyear. For sporty driving, the P Zero is up there with the best in the business. Handling is extremely precise and responsive – it’s no coincidence that even Ferrari puts these tires in their vehicles. Braking performance is also probably the best out of every tire out there, and the grip provided is mind-blowing. In light rain, the P Zero can also provide the driver with excellent grip and traction, as well as precision and responsiveness. The tire is also very controllable at the limit, something that most sports driver will appreciate. That said, it seems that Pirelli forgot about heavy rain. The P Zero is not resistant to hydroplaning, at least not at the level of tires from other premium manufacturers. That’s a shame because, in almost every other condition, the P Zero achieves great results. Maybe I’ve been too harsh here, but the reality is that the Pilot Sport 4S offers comparable performance in dry conditions, yet it’s much better in deep water. ​I’ll be honest here – I was not a fan of the previous generation of this tire. It was marginal at best – neither performance was good, neither it lasted for a long time, especially if driven hard. To my pleasant surprise, Hankook alleviated a lot of the problems of the previous generation with the Ventus S1 evo2, which was (just) enough for it to be on this list. Hankook did its best to make this tire perform better in the corners and especially in hard braking. It is still not a match to the best tires on this list, but it is close enough. 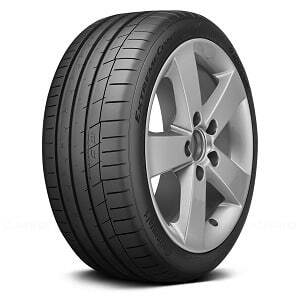 The grip is excellent even at higher speeds, it’s only responsiveness that this tire lacks. Performance in the wet is pretty good too, with high levels of grip and great resistance to hydroplaning. Add to that a good treadlife and low price, and you have a very competitive tire. That is unless you care about fuel economy. In the quest for the best possible grip, Hankook forgot about the low-rolling-resistance aspect of this tire. Trust me, even though it’s not mentioned, every other tire on this list does provide better fuel economy than the Ventus S1 evo2. I am sure that the Korean company already works on a solution for the evo3. Third time’s the charm, right? 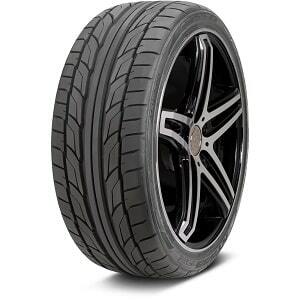 ​Let’s round out this list with a more budget oriented tire, the Nitto NT555 G2. Nitto is а relative newbie in this sector, but that shouldn’t detract from the fact that the NT555 G2 is a very good tire for the money. Of course, you shouldn’t expect performance on the level of premium tires, but if you set your expectations right, you will enjoy this tire. Thanks to the silica-enriched tread compound, large tread blocks for increased traction, reinforced shoulder blocks and directional tread design, Nitto says this tire provides excellent performance both in dry and wet conditions. In my testing, the NT555 G2 proved to be a very good performer. 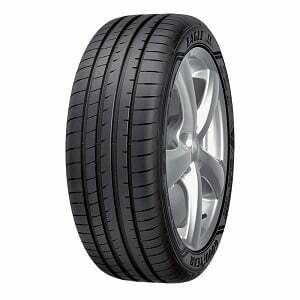 In dry conditions, it handles with precision and responsiveness one really can’t expect from a tire in this price range. Wet performance is also very good, albeit not sensational. The average driver will certainly be satisfied with the performance in wet conditions, but aggressive driving is not recommended. When compared to the best summer performance tires out there, the Nitto NT555 G2 falls apart in the longevity category, especially if driven very hard. Noise can also be a concern at higher speeds, and comfort is not great either. As expected, there are compromises with this tire, but I’m glad the performance category stays intact. Are summer tires good in the rain? 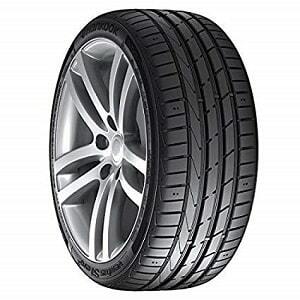 They are not just good – they are the best solution for wet driving when compared to any other tire. However, please note that this only applies in warmer weather – if the temperatures are getting closer to freezing you might consider a winter tire for the best possible rain performance. Are summer tires safe in cold weather? Whatever you do, please don’t use summer tires in cold weather. 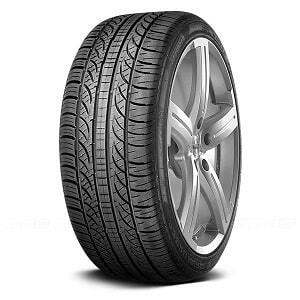 They are made of a harder rubber that’s not very pliable at lower temperatures, which results in much less grip when compared to a proper winter tire. Even all-season or all-weather tires offer better traction and grip in very cold conditions. Summer tires, as their name implies, are only meant to be used in the summer, and probably in the spring. Are summer tires cheaper in winter? Prices of tires don’t change through the year, regardless of demand. While you may sometimes buy cheaper summer tires in the winter, the model you’ve bought may be from the last generation, with a new generation coming the next spring. I would stray away from older tires that spent a lot of time on the shelves – the savings you will make are probably not worth it. That said, always spend a bit more time and research different vendors for the best price – it may vary greatly from one to another. Are winter and summer tires the same size? Size will be the same regardless of the type of tire. That said, installing winter tires with the same size as summer tires may result in loss of traction and performance, and vice versa. In other words, summer tires work better with bigger rims and smaller sidewalls, while winter tires work better with smaller rims and bigger sidewalls. If you plan on installing bigger rims on your vehicle, always take into account the radius of the tire and rim. On the whole, the radius should be the same between summer and winter tires (bigger rims + smaller sidewalls = smaller rims + bigger sidewalls). There are numerous tire size calculators online that can help you with choosing the right tire size when installing a new set of rims. Can summer tires be stored outside in winter? Regardless of the season, storing tires outside is almost always a recipe for disaster. While the weather in winter is generally cold, temperatures still vary greatly. Summer tires are pretty strong when it comes to stiffness, but they can still change their shape, especially when not in use (no pressure to hold them). The best way to store summer tires is in a cool and dry place, preferably with a stable temperature, like a basement for example. How long summer tires last? Summer tires are notorious for short treadlife, especially when compared to all-season and touring all-season tires. The best examples of summer tires last around 25.000-30.000 miles, but some may deteriorate even sooner. If treadlife is of your primary concern, touring or grand-touring tires are the best bet, as they easily last twice as long as summer tires. That said, summer tires still offer vastly better performance in both dry and wet weather. I really hope that my Top 10 list will help you the next time you purchase a new set of tires for your vehicle. From what you can see, premium tires will always give you the best possible performance in both dry and wet conditions, and they will also last longer. That said, I’ve included budget tires that I think are worthy of any vehicle, even more, powerful sports cars. Whichever tire you choose, please use it only in warmer conditions. They quickly lose their performance in cold conditions, wet or dry, and should be especially avoided in the snow.